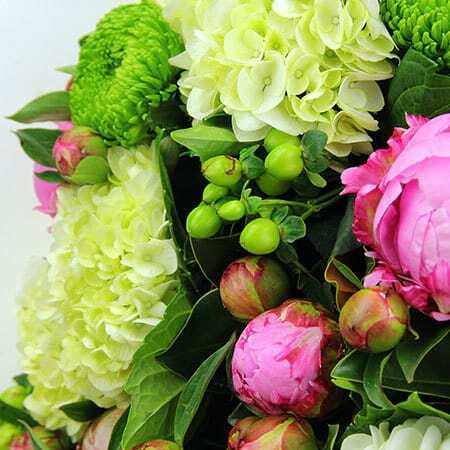 Our heavenly peony and hydrangea bouquet features locally grown white hydrangea combined with pretty pink peonies, giant lime green chrysanthemums and shiny green berries. 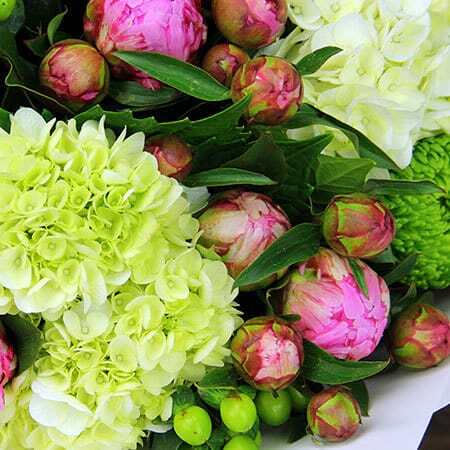 Gift wrapped to perfection, this beautiful flower bouquet captures the essence of a Sydney summer. Add an ECOYA Sweet Pea & Jasmine hand cream, diffuser or candle for an extra special treat! 2018-12-05 Invoice went to recipient, perhaps my mistake but I quickly reviewed and emailed the company. And couldn’t stop it.